This week, I flew to London to meet very talented designer Thakoon Panichgul. He was in town for a very intimate trunk show and presented his amazing F/W 2011 collection in the Net-à-porter offices to his very loyal long-standing English customers. The Thai-born, Omaha-raised designer who is based today in New York has been an early forerunner of mismatched prints. For him, it is all about the silhouette, about a certain nonchalance, a modern and sporty way to interpret couture. He has a talent for intricate detail and loves to play with construction. I had a really nice conversation with him. Thakoon is such a lovely guy. He told me that his passion for fashion started at a very early age because his mom and grandma were both seamstresses. He started his career first in production, then merchandising for J.Crew. Later on, he spent four years as a writer and editor for Harper’s Bazaar and took courses at Parsons School of Design. He also earned a business degree at Boston University. I would call this a very profound foundation to start a successful company which he did in September 2004. He has quickly become a shooting star to emerge from the New York fashion scene. His fan base is huge. Hollywood celebrities like Jessica Biel or Drew Barrymore and fashion A-listers like Sienna Miller belong to it. His probably biggest supporter is Michelle Obama. 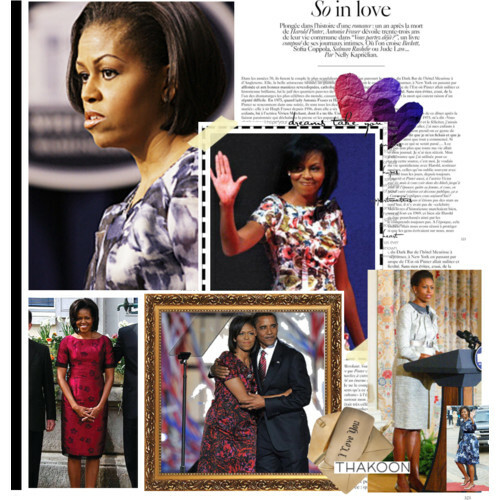 America’s First Lady is often seen in Thakoon’s designs. The founder of the well-known online platform Net-à-porter was like me crazy for the gorgeous sleeveless blazer in yellow and black. Thakoon’s collection for F/W 2011 reminded me of Marie Antoinette as an African tribal warrior. The designer kept the juxtapositions going in all ways. A long-in-back ball skirt worn with a checked puffy coat was among my favourite looks. See below some of the best looks. The pieces were a little big on me as they were the sample sizes. 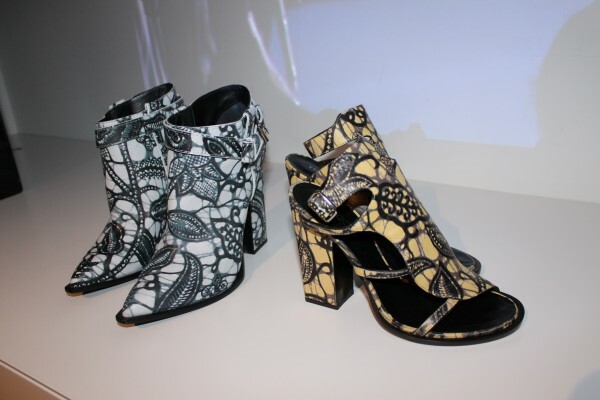 I am so in love with Thakoon’s shoe collection for F/W 2011. 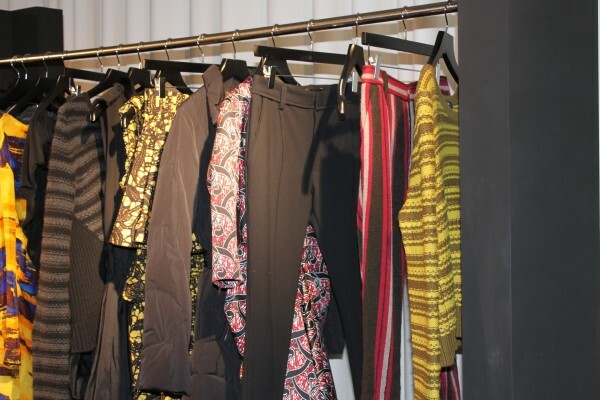 All the pieces will be available at net-à-porter.com. If you don’t want to wait to own a piece, have a look at those gorgeous pieces from his S/S 2011 collection that are in stores now. By the way, the party went on at Soho House Basement deep in the heart of Chinatown and London’s It-girls partied with Thakoon all night long. Please click here to shop Thakoon’s beautiful collection.